July 10, 2015 July 10, 2015 / Heidi B. Celebrate in style and help support Youth Theatre Arts Scotland, too! We are offering for sale these special edition Heughligans tees/hoodies with a beautiful “knotterfly” design (courtesy of Ariana Bayer). Our “Dragonfly in Amber” celebrates both the 2nd book in the Outlander series (by Diana Gabaldon) and our second year as Heughligans. 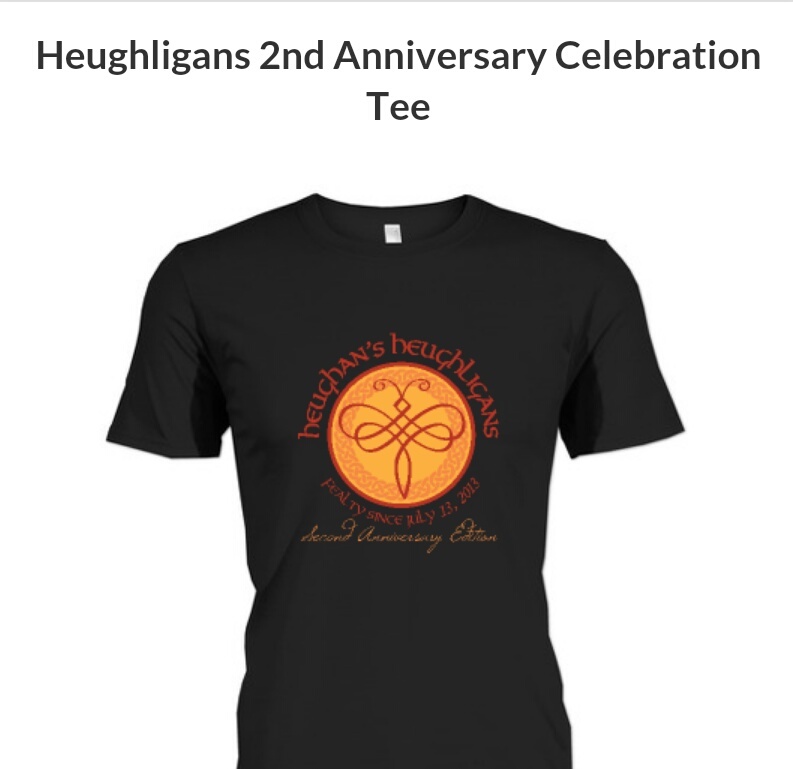 The writing on the shirt says “Heughan’s Heughligans, Second Anniversary Edition, Fealty Since 2013.” They are only available until July 30th and ALL profits go to support YTAS (for who Sam Heughan is a patron). Eventually we will relaunch the design. We don’t have an exact date yet, but watch this site, our Facebook page, and Twitter for more info. Thanks for the interest! Just missed the order deadline—any way that I can still get one?? I watch it over and over each day. My daily dose of jamie and clare.